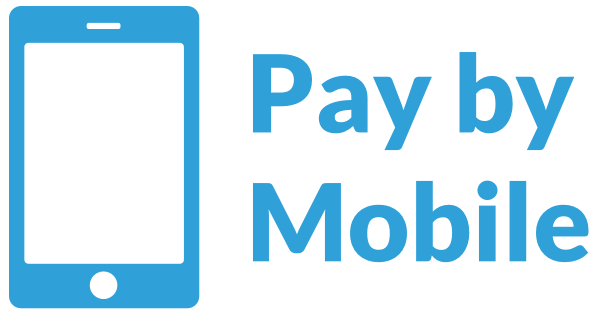 Deposit using your phone bill or pay as you go (PAYG) balance at a pay by mobile casino on Android, iOS and Microsoft devices. Keep your plastic in your pocket and pay with most UK mobile numbers in a couple of clicks. Find the best Fonix, Boku and Payforit slot sites in April 2019. Over 18s and new players only. Join 21 Casino and make your first deposit to claim up to £300 bonus cash to spend on your favourite games from top slot providers like NetEnt, Microgaming and Play N Go. Prefer table games? 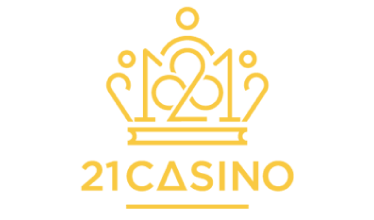 Don’t worry because 21Casino has over 70 casino classics to choose from including roulette, blackjack and Texas Hold’em. Terms & Conditions: 18+. New players only. Minimum deposit of £10. Bonus funds are 121% up to £300 and separate to Cash funds. 35x bonus wagering requirements. £5 max bet with bonus. Bonus must be used within 30 days otherwise any unused bonus shall be removed. Full T&Cs Apply. PlayOJO is the self-proclaimed ‘fair casino’ with zero wagering requirements, over 2,000 games and a generous cashback offer available to all players. Sign up today and deposit to claim up to 80 free spins on Book of Dead. Don’t forget that all winnings uncapped are yours to keep! Terms & Conditions: For Every £1 you deposit, 1 Free Spin will be credited up to 50 Free Spins on Rich Wilde and the Book of Dead. Min deposit is £10. First time depositors only. Also after your First Deposit you may claim an additional 30 Free Spins by visiting the Kicker Section. Game: Rich Wilde and the Book of Dead. Spin Value: £0.10. Free Spins must be used within 24 hours. Full T&Cs apply. Bethard is awarding new players up to £50 bonus cash, completely free from wagering requirements. Don’t worry about finding something to play because Bethard is filled with popular casino games including NetEnt and Evolution Gaming live dealer tables as well as top slots from Microgaming, Thunderkick and Quickspin. Terms & Conditions: Welcome bonus consists of 10 bonuses of £5 up to a maximum total of £50. This offer is available for New Customers registering from the UK after the 1st of May 2018. Bonus will expire after 7 days from registering. This offer is only available to New Customers from the UK making an Initial Deposit of £20 or more. Full T&Cs apply. Genesis Casino is packed full of the best slot and casino games from top providers including Evolution Gaming, NYX, Quickspin and NetEnt. Join today and you can claim a 100% match bonus up to £100, plus 300 free spins on the hugely successful slot game – Starburst. Terms & Conditions: 18+ Full T&C's Apply. New players Only. £10 min deposit. £5 max bet using bonus. 40 x wagering applies. Bonus valid for 14 days. 30 Spins on Starburst games will be credited per day for 9 days after qualifying deposit/wager is met. Free Spins valid for 72 hours from credit. Max Free Spins winnings £100. Skrill + Neteller excluded. Full T&Cs apply. Top Tally casino is offering new players up to £200 bonus cash to spend on their huge range of games as well as 100 free spins on NetEnt’s successful slot game – Gonzo’s Quest. Join today to start climbing through the VIP ranks and play over 400 casino games from 30 different software providers. Terms & Conditions: New players only. 18+. Min deposit £10. Wagering requirement apply 35x. Offer valid for 72hr. 100 spins includes 3 deposit. Full T&Cs apply. Join Comeon! Casino and you’ll be treated to a £25 casino bonus and 20 free spins on Starburst. You’ll have your pick of over 800 casino games including huge progressive jackpots like Mega Moolah and Hall of Gods as well as plenty of classic table games like roulette, blackjack and baccarat. Terms & Conditions: 18+ New UK mainland customers only. £25 Casino Deposit Bonus: Min. deposit £10. First deposit up to £25 matched 100%. Max. bonus available is £25. 35x wagering on deposit and bonus in Casino before withdrawal. Further T&Cs apply. Sign up to Sloty Casino and deposit to claim up to £300 bonus cash and 300 free spins on Starburst, Gonzo’s Quest, Red Riding Hood or Aloha!. You’ll find over 1,300 casino games from top providers including the best slots, table games and steadily growing progressive jackpots including Mega Moolah, and Hall of Gods. Terms & Conditions: 18+. New players Only. £10 min deposit. £5 max bet using bonus. 40 x wagering applies. Bonus valid for 14 days. 30 Spins on pre-selected games will be credited per day for 9 days after qualifying deposit/wager is met. Free Spins valid for 72 hours from credit. Max Free Spins winnings £100. Skrill + Neteller excluded. Full T&Cs apply. Fun Casino is a one-stop destination for all of your favourite casino games including the complete suite of Evolution Gaming live dealer games. Join to get 11 no deposit spins on one of six top slot games, then claim a 50% match bonus on your next two deposits to get up to £998 bonus cash. Terms & Conditions: 50% bonus with first deposit. Minimum deposit of £10 is required. Available for selected countries only. Bonuses are valid for 30 days and are subject to the 50x wager requirement. Slots and other games apply towards the wagering requirement. Further T&Cs apply. The Sun Play is a casino designed to please even the pickiest player. With over 800 games from top providers like NetEnt, BTG, Microgaming and Realistic, you’ll find your favourite games. Join today and deposit to get your hands on a £500 welcome package and 100 free spins on the hit game – Starburst. Terms & Conditions: First 3 deposits only. Min. deposit £10. Max. overall bonus £500 + 100 spins on Starburst. Selected slot games only. 10x wager requirements apply. Full T&Cs apply. Register at Wink Slots and deposit using promo code BIGBONUS to claim a 100% match bonus up to £400 plus 50 free spins on Kingdom of Cash. Play hundreds of slot games, instant wins, classic table games like roulette and blackjack and the exclusive progressive jackpot Millionaire Genie. Terms & Conditions: Valid until 30.4.2019. New players only. 1st deposit min £20 with code, gets 100% Bonus (max £400) + 50 FS on Kingdom of Cash. FS deposit wins are set at min £1 -max £13. Bonus wins are capped at £400, exc. jp win. To withdraw games bonus & related wins, wager 30x the bonus funds. Wagering reqs vary by game. Full T&Cs apply. How much does it cost to deposit by SMS? Carrier billing companies once used a system called Premium SMS (PSMS) to take payments by text message, but the service suffered from a lack of flexibility and expensive transaction fees of up to 40%. These charges would mostly be covered by vendors (gambling brands), although some proportion was also passed on to players. Nowadays, the same companies use cheaper direct carrier billing for payment processing, reducing fees to around 10% – a cost that is generally paid by casino operators. This change also ensures that you are not charged more than the value of your deposit at a casino to make the deposit itself. The only exception being Nektan, which imposes a 15% fee per deposit that’s completed using carrier billing. What is a carrier billing company? Carrier billing companies are the mediators between players and casino operators. Their job is to charge your mobile network for your deposits and process the payments to the casinos. This allows brands to receive your funds immediately, rather than when you eventually pay your phone bill. Can I limit the amount I can deposit with my phone bill at slots site or casino? You can only deposit up to £30 a day and £240 a month per mobile number when paying with your mobile phone bill. Some carrier billing companies even have a £10 per transaction limit. Bear in mind that these limits apply to per mobile number, not per website. For example, if you deposit £10 at PlayOJO and then pay your £9.99 Spotify bill using your phone bill, you’ll have £10.01 available to spend for the day, assuming your daily limit is £30. Remember that you can also set personal deposit limits at any casino often located in the responsible gambling section of your account settings. Which mobile networks support payments by phone? You can pay by phone with most mobile networks, depending on the carrier billing company used by the slots or casino site. Major networks like EE, O2, Three and Vodafone are generally accepted, but you may need to check if you’re on a smaller network such as Virgin, Tesco or GiffGaff. How do pay by phone bill casinos work? Why pay by mobile at a UK casino site? Pay by phone casinos offer a payment method that’s become increasingly popular in recent years. Contrary to how it sounds, pay by phone doesn’t refer to simply depositing using your mobile phone, it instead describes payments made using your phone number. The payment is then either added to your mobile phone bill or deducted from your pay as you go balance. Depositing using pay by phone is easy – all you need is a UK mobile number and your phone to hand. Log in to your favourite pay by phone slots site or casino and navigate to the cashier. Select the pay by phone/mobile option and enter the deposit amount you’d like to deposit (remember the standard £30 limit). Type in your mobile number and click to continue. Check your phone for a verification text message. Reply with either a word or code to authorise the transaction or enter a code on the cashier page. Once completed, your deposit should be available in your real money casino balance. Boku is the largest mobile payment provider in the world, operating in over 50 countries. It’s used by top casino sites and supports 173 mobile network operators. Unlike some of the other carrier billing companies, you can only deposit £10 per transaction, which may prevent you from claiming larger match deposit casino bonuses. 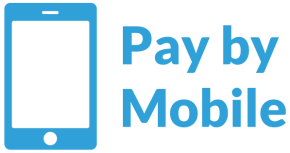 Payforit is another mobile billing company and is jointly owned by Three, EE, O2 and Vodafone. It claims to support all UK mobile numbers, making it a great option if you’re not registered with one of the four major networks. The maximum deposit limit for Payforit is £30 per transaction – an attractive feature for players wanting more freedom with their cash flow. Fonix is a UK-based carrier billing company that works with huge brands including BT, Viacom and Bauer Media. It’s less prominent in the online casino industry, however, it works the same as the others and currently supports O2, Three, Vodafone and EE. Below are some of the perks of choosing pay by phone to play slots or table games. Paying by mobile phone lets you deposit without needing to have your physical debit or credit card to hand or remember your bank account details. It’s a great option for depositing on the go. 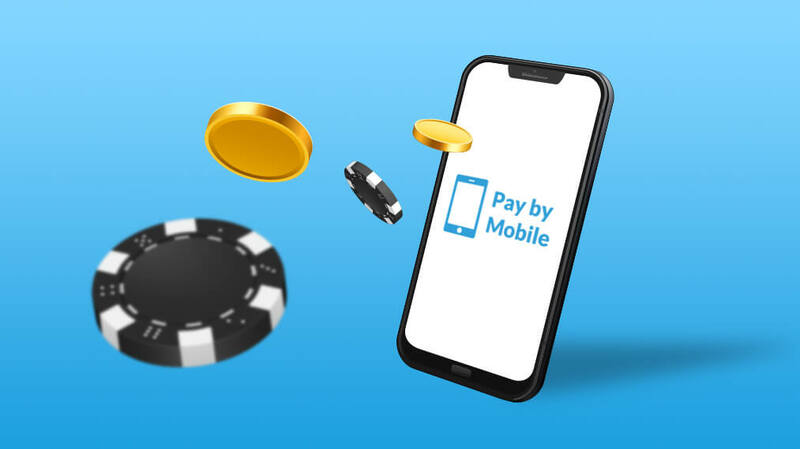 The low deposit limits of mobile payment services, especially Boku, is a helpful way of managing your casino budget alongside other responsible gambling tools. You need your phone to authorise any transaction, adding another level of protection should an unauthorised person access your casino account. All phone bill payment systems are also regulated by the Phone-Paid Services Authority (PSA). As with all payment methods, pay by phone also has a few limitations. It’s not possible to withdraw using a pay by mobile phone service and that’s unlikely to change in the future. This means that you’ll need an additional payment method on your casino account to withdraw your winnings. You can only use pay by phone to deposit if the billing company used by the casino or slots site supports your mobile network. Some casinos and slot brands exclude pay by phone as a valid payment method in their bonus terms and conditions, preventing you from being able to claim generous new player promotions. Always check the small print before you first deposit. Adding your credit or debit card is a simple and secure way of withdrawing from a casino account. It takes on average three to five working days to receive the money, which is a little longer than other digital payment methods. You can withdraw to eWallets such as Skrill and Neteller very quickly, with payments showing up within 24 hours after they’ve been processed. However, you may be charged up to 7.5% or $10 to withdraw the funds from your eWallet to your bank account. PayPal casinos offer the best withdrawal method, as it’s almost instant and free. You can expect your funds to return to your account within 24 hours after the withdrawal is approved. If you’re looking for an alternative deposit method to debit or credit card, pay by phone offers quick and secure deposits. However, we wouldn’t recommend using it as your primary deposit method as it may encourage poor spending habits because you can fund your casino account and pay the bill later. Instead, using an eWallet like PayPal may be a preferable option as it protects your information, deducts your bank account immediately and is available at most casinos. Plus, you can withdraw to it, negating the need for another payment method.